Your Cinderella story is about to come true and you want every detail to be perfect and to be recorded for all time! 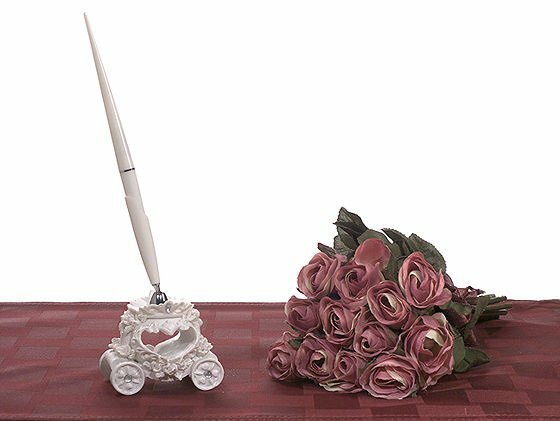 Guests will adore the wedding coach design of this stunning pen set, which is crafted of white poly resin and includes a swivel pen holder and pen. The set stands 8" tall and comes packaged in a plain gift box. 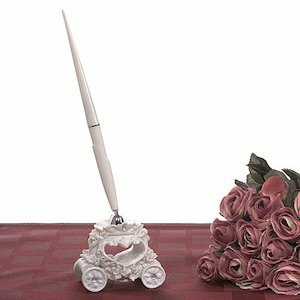 Search for the words "Wedding Coach" on our site to view several coordinating items available.